Azul S.A. announced the sale of six E-195s, continuing Azul’s fleet transformation process. These E-Jets will be replaced by next-generation A320neos, which are more fuel-efficient and have 56 additional seats compared to the E-195, resulting in a unit cost reduction of approximately 29% on longer-haul domestic flights. As a result of this transaction, our pro-forma first quarter 2018 debt position would have been reduced by R$ 244 million, net cash would have been increased by R$ 55 million and leverage in terms of adjusted net debt to EBITDAR would have been 3.8. Additionally, this sale will generate a non-recurring, non-cash book loss in our second quarter 2018 results and will be disclosed on our earnings release. These aircraft have been parked since the first quarter of 2018 to be prepared for sale. “The replacement of older generation aircraft with larger, next generation, fuel-efficient aircraft, is key to support our CASK reduction and margin expansion plan going forward. Our goal is to accelerate this process as much as we can, especially in a scenario of more volatile exchange rates and fuel prices”, said John Rodgerson, Azul’s CEO. 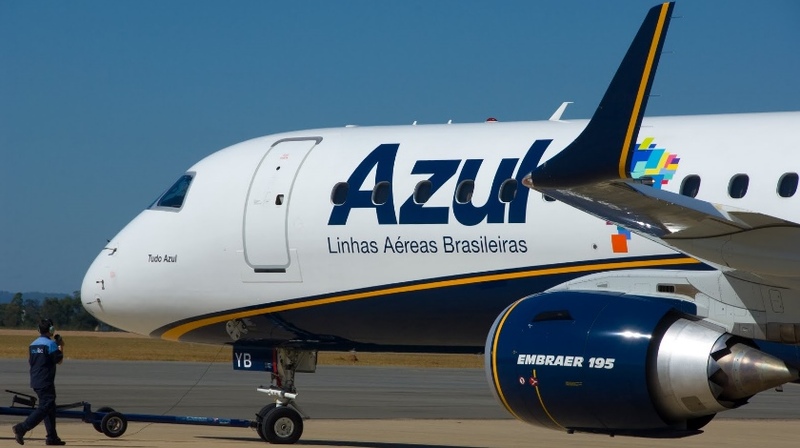 Azul’s fleet plan announced in March of 2018 remains unchanged. The company expects to end the year with an operating fleet of 124 aircraft consisting of 63 E-Jets, 33 ATRs, 20 A320neos and 8 A330s.